After a brief hiatus (a.k.a. my vacation) Thursday Tips are back! 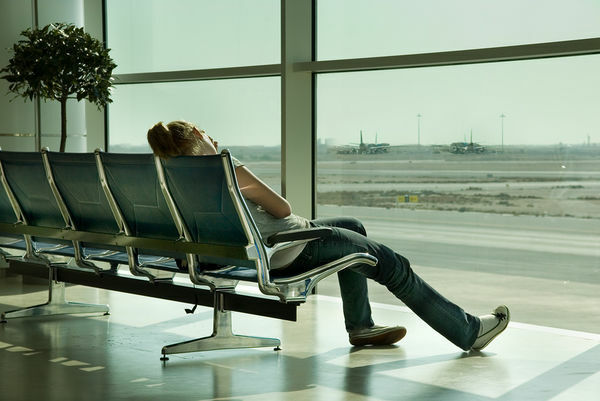 This week I chose a topic close to my heart at the moment – how to survive jet lag. Having been on a plane for 25+ hours and landing in San Francisco at 11 p.m. last night, I somehow managed to drag myself to work and have a productive day. Here are a few tips on what has worked for me. Drink a couple of cocktails on the plane. This is contrary to what most will tell you, but a couple of drinks (moderation is key) can be helpful in relaxing you and allowing you to get some shut eye on the flight. Don’t give into temptation. As much as you are going to want to nap when reaching your destination the best thing you can do is force yourself to stay up and go to bed at a normal hour (i.e. 9 p.m.). The vitamin melatonin is well known for helping regulate sleep cycles. Take one pill before bed once you reach your new time zone, and it should aid you in getting a good night sleep. Aloha! I’ve just stopped by to thank you for this amazing article. Take care!